Hackers, Viruses, Trojans, Adware, Spyware and other Malware are number 1 caused computer problem. 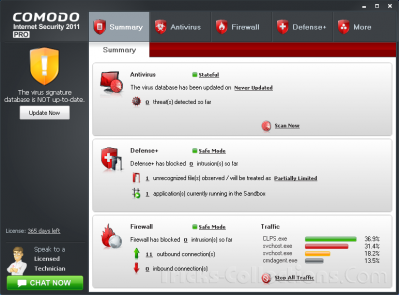 A Comodo Internet Security Pro 2011 guarantee provides best protection against these problems. The 2011 version of comodo internet security come with unique guarantee that will cover up to $500 in repair costs using an authorized repair center. -Download the trial software here: comodo internet security pro, the software available for Windows XP SP2, Vista and Windows 7 both 32 bit and 64 bit version. -Install the software and follow the installation process. It requires internet connection (it requires to activate this software) during the installation process.